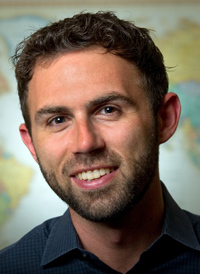 Hammack was recently awarded a National Academy of Education/Spencer Postdoctoral Fellowship. Hammack is an assistant professor of psychology at UC Santa Cruz and calls himself a "scholar-practitioner." He both worked for peace groups and spent several years interviewing young people from the Middle East who had returned to their homes after attending workshops that brought them face-to-face in Chicago and Maine. Hammack's hopes were high when he began the project a decade ago. As a graduate student he was researching the exposure to violence among inner-city African Americans in Chicago when the second intifada began among Palestinian youth in Israel and the occupied territories. He took an administrative position with Seeds of Peace, a group that brings young people to the United States for three weeks. Its slogan: "Treaties are negotiated by governments; Peace is made by people." The theory is known in psychology as the "contact approach" and has been deeply explored by UCSC emeritus professor Tom Pettigrew. The hope is that understanding and empathy can grow from conversation, mutual awareness, and shared experiences. "I was very optimistic," Hammack said, believing that it makes sense to work with younger people "before their attitudes hardened." What he discovered, however, contradicted his expectations and his hopes. "What I found was very disturbing in terms of the efforts of these programs," he said. "It seems like a good idea, and contact can effectively reduce prejudice." But Hammack said his research found that the programs did not reduce prejudice among the Middle East youth or motivate them to pursue peace and nonviolence. Hammack got to know 45 teens from 2003-2007 as they participated in the programs and through follow-up interviews in their homes in Israel and the West Bank. He learned that despite a "halo effect" from getting to know one another the teens encountered resistance to their changed attitudes when they returned home. They were ostracized by their friends when they tried to communicate what they had learned. They "basically become a traitor to the national rhetoric," Hammack said. What's worse, he said, is that some teens react in turn by bending over backward to exhibit hostile attitudes in order to be accepted. 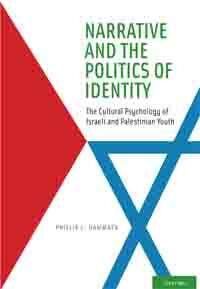 As a psychologist, he attributes some of the attitude to adolescence and the teens' need to develop a strong sense of national identity, especially in conflict settings. He argues that the well-meaning programs that seek to bridge the gulf are "very American," designed to deal with multiculturalism and diversity. They are not designed to deal with the raw conflict that exists in the Middle East.